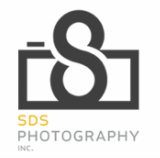 Contact - SDS Photography, Inc. If you had visited the site and tried contacting me via the message box that used to be on this page, please email me at the address above. There was an error on the page that was preventing me from receiving the messages. Please try again via email.